Luke: What an excellent program to close the festival. I think it was worthwhile to stretch the rules and show two features, since they were such important works. “Dracula” and “Frankenstein” — whatever he is called — belong together. It was a nice to opportunity to see a rare product of the Hungarian industry. I was moved by the difficulties faced by the country’s filmmakers. Thank you for the wonderful job of programming the movies, arranging for the venues, and finding the wonderful accompanists. Thanks for the comments and for having entered into the spirit of things. I’m not sure what others have made of it. If I repeat the exercise next year, I’ll probably do it differently and make it less of an exercise in daydreaming. But the musicians were terrific – truly silent musicians. Digging out stuff on the Drakula film took up more time than all the others, and I’m still not certain of the facts (nor where others might have got their facts from). Back to normality now, and colour. Drat! The festival is over! I have enjoyed attending it so much, and really liked the inclusion of the national cinema traditions I didn’t know as well. I hadn’t watched a Hungarian silent before this festival– and, sadly, I guess I still haven’t. Over, but it’ll be back next year. Glad you enjoyed it. The chances of seeing any Hungarian silents are pretty slim, because so few survive. The Hungarian National Film Archive had a retrospective at last year’s Pordenone Silent Film Festival and they only showed us two titles – one of which had a synchronised music and sound effects track (and the other one I missed). How interesting to hear from you. Karoly Lajthay seems a bit of a mystery figure in the few histories that I’ve read that mention him, but he does seem to have been a director with a particular style. Sadly, none of the silent films that he made as director or actor is known to survive. Contrary to what I say in the post, he went on to make a couple of sound films after Drakula Halala, and hopefully one or both of these survive. It seems he returned to the theatre after 1923, when he was unable to make films – do you know if this is correct? my aunt (his wife) , died recently and all of her photoes and paperwork passed to her nephew and niece in Wales, I have not seen these yet but I will contact them and ask them to pass on any information to you. As children we heard about her marriage to him but as children you don’t pay much attention to such things, and live to regret the questions you didn’t ask at the time. Many familty stories abound. I think they were in the south of france at the outbreak of war and he made films there during wwII, but i’m not sure. sorry I can’t be of much help. I know he worked with Alexander Corder. First, thank you to use my resources of this lost film. 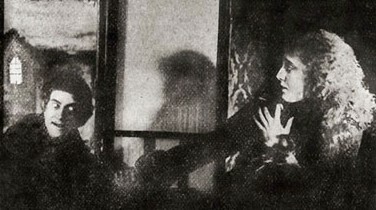 One Karoly Lajthay film survived, ‘Vorrei morir (1918)’. It’s a melodrama with some sort of mystery. Hello! Thank you for getting in touch. Your site was so useful in gathering together information on the film (I did acknowledge the use I made of it here). I hope I got the basic details right. I’m pleased to hear about the surviving Karoly Lajthay film – as you’ll see from the other comments, his family has been in touch and I’ll let them know about Vorrei Morir. My name is János Szántai, writer, producer, president of Argo Audiovisual Association in Kolozsvár (Transsylvania, Romania) and first of all I would like to express my gratitude to all of those who chose Lajthay’s opus in the festival program. On the other hand I was astonished when reading the replies I stumbled upon Miss/Mrs. Pauline Cook as the niece of Lajthay’s wife. I would like to get in contact with her if that is possible. I will contact Pauline Cook and see if she is happy for me to pass on her contact details. I would like to thank you for the effort, no matter of the outcome. Happy Easter by the way. All I can do is repeat what was told to me by a gentleman in England. 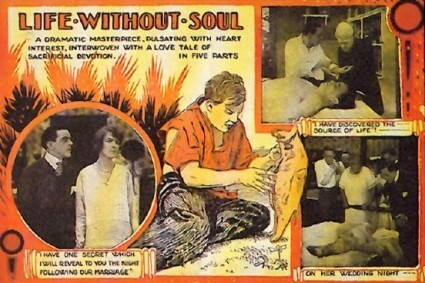 He claimed that several years ago, he met a man who had a very badly damaged print of ‘Life Without Soul’. He was only allowed to view it through a hand crank projector and that is what he based his review on. He went on to state that the private collector would not allow it to be released and that it is likely that the print still survives. It would be awesome if it did, but I won’t hold my breath. Unfortunately the person who reviews the film on the IMDB is F. Gwynplaine MacIntyre, who is notorious for spinning tales about rare film prints that only he has had the chance to see (the tale usual involves his privileged access to some private collector’s hidden archive). He has written numerous reviews of ‘lost’ films for IMDB which read as though he has seen the films for real. He has not. Always beware of such furtive claims. 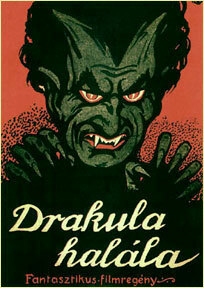 I am currently writing a book about horror movies and was wondering if anybody could help with additional information to Drakula halala. The article by Gary D. Rhodes in the comment above yours will tell you pretty much all that is known about the film so far. The comment about spurious and obvious hoax “sightings” is well-placed. Those digressions are a waste of time; those of individuals who claim to have seen the ‘lost’ films in modern times, and I’m as uncertain why those occur as much as I’m disappointed by those who believe such fables. Would love to see these two film, though! It’s a great shame that the late F. Gwynplaine Macintyre’s ‘reviews’ remain on IMDb without some sort of warning set alongside them. They often contain interesting information from someone who knew a little of film history, and they are written quite nicely, but they have misled so many people – and continue to do so. But IMDb have declined to do so – and every now and again he gave his comments on films which do exist. Which makes things tricky for sorting out the false from the true.